Man of La Mancha is about igniting a positive change of life viewpoint through a fantasy knight’s example in a story enacted by a downtrodden community, awakening within them the ability to consider dignity versus despair. 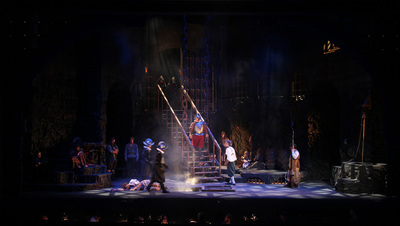 The scenery should show the cold dirty slimy rocky environment which breeds distrust, and doubt, and is the place of real danger and inhuman practices, by using larger than normal architecture. 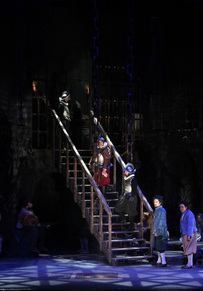 This will place the human in a diminished scale, and make physical escape seem impossible. 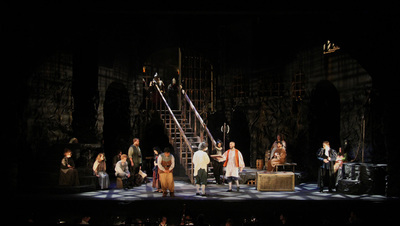 The scenery should support the fact that there are 3 levels to this prison: the Spanish Inquisitor non-prisoner level, the main floor holding cell level, and the oubliette level. This can be shown through differences in texture, following the traditional Renaissance architectural style of the ground floor being more rustic with better dressed stonework in the upper levels. 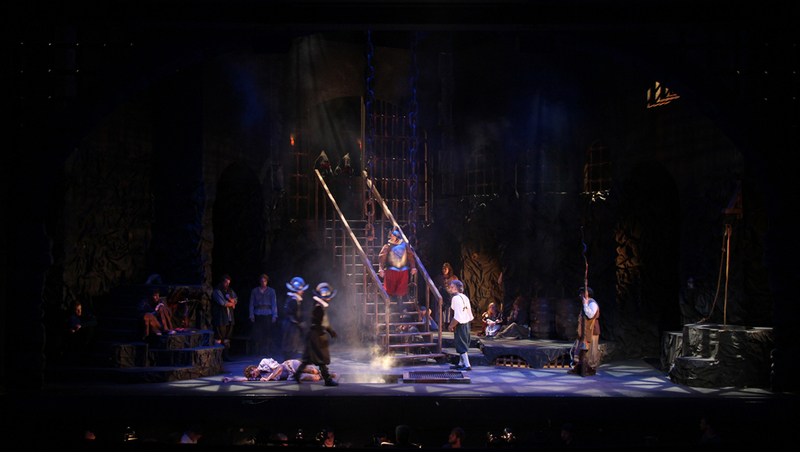 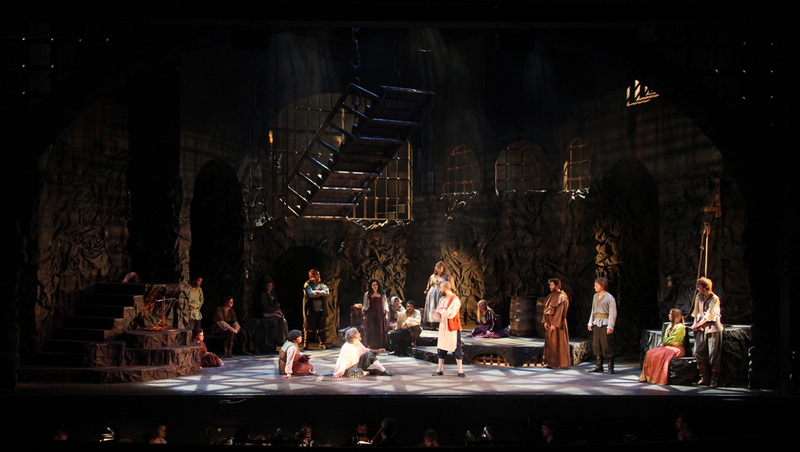 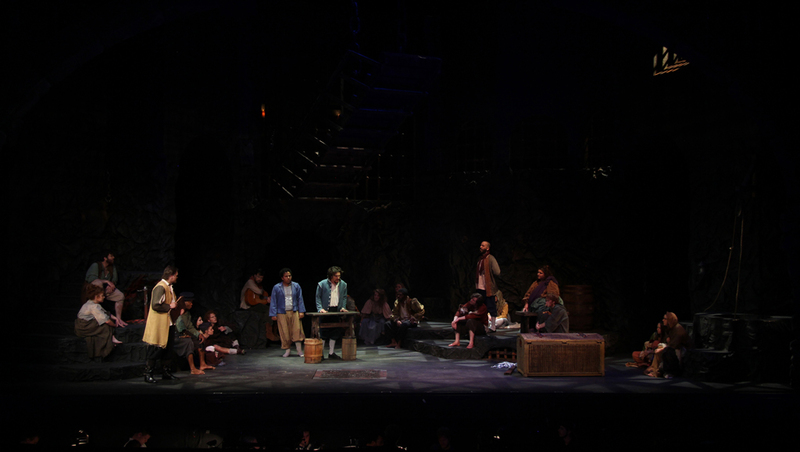 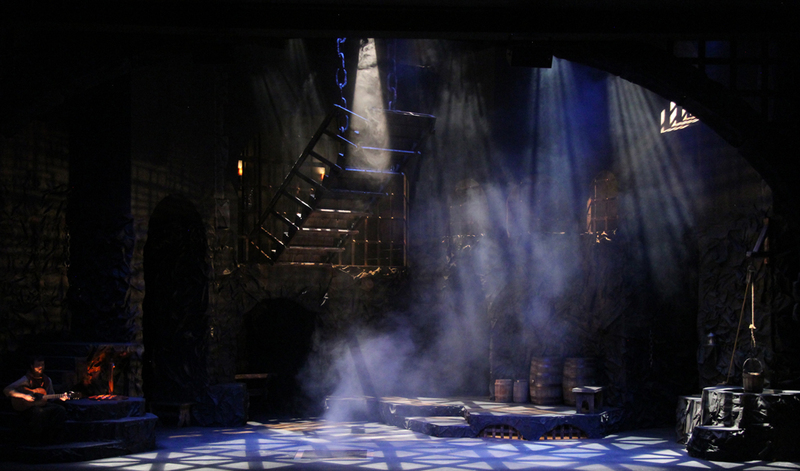 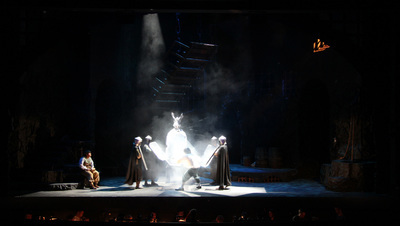 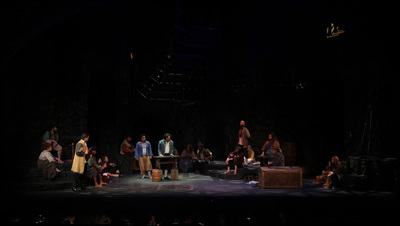 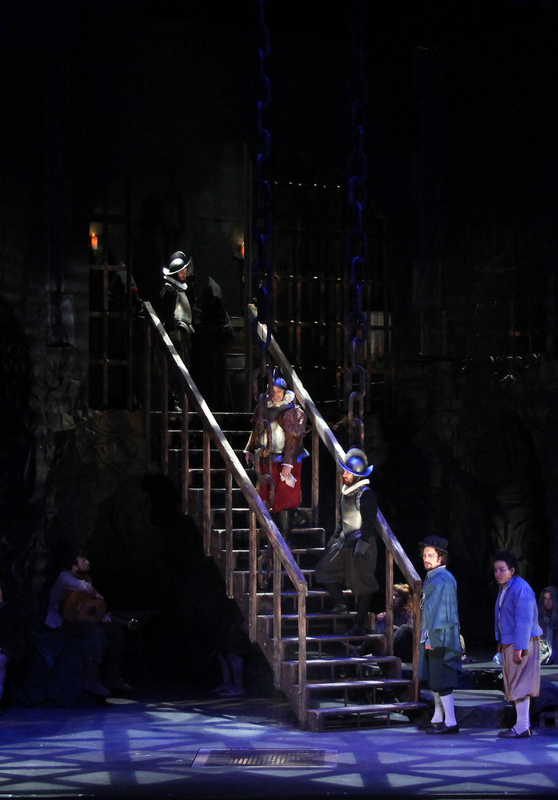 Man of La Mancha was produced by Oklahoma State University Department of Theatre.